We now feature a selection from our Sacred Texts Section, bringing to you the Golden Versus of Pythagoras with a brief introduction. 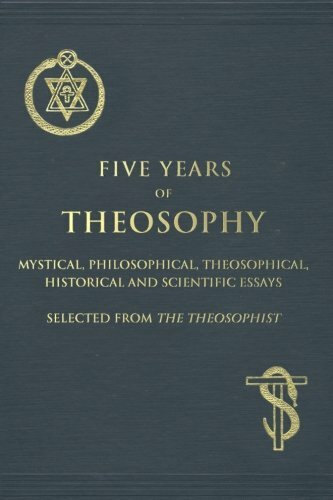 “The ancients had the habit of comparing with gold all that they deemed without defects and pre-eminently beautiful: thus, by the Golden Age they understood, the age of virtues and of happiness; and by the Golden Verses, the verses, wherein was concealed the most pure doctrine. They constantly attributed these Verses to Pythagoras, not that they believed that this philosopher had himself composed them, but because they knew that his disciple [Lysis], whose work they were, had revealed the exact doctrine of his master and had based them all upon maxims issued from his mouth! “These verses, called golden for the reason I have given, contain the sentiments of Pythagoras and are all that remain to us, really authentic, concerning one of the greatest men of antiquity. Hierocles, who has transmitted them to us with a long and masterly Commentary, assures us that they do not contain, as one might believe, the sentiment of one in particular, but the doctrine of all the sacred corps of Pythagoreans and the voice of all the assemblies. He adds that there existed a law which prescribed that each one, every morning upon rising and every evening upon retiring, should read these verses as the oracles of the Pythagorean school. Thus, just as we receive the teachings of Buddha by way of his disciples, recorded in the Dhammapada and other works, so too do we receive the teachings of his contemporary, Pythagoras, through his disciples. The Golden Verses may be divided into two parts, the first treating of the Practical or Human Virtues, whose aim is the making of Good Men; and the second, treating of the Contemplative or Divine Virtues, the end of which is to make Good Men into Gods. One is greatly struck by the wonderful completeness of the Verses, and their scientific arrangement. They can be divided into groups dealing with practically every aspect and affair of life. At the end of the first part (verse 47), we find the Most Solemn Oath that if a man follow these precepts faithfully, he will be ready to tread the further path, to devote himself to the Contemplative Virtues, and to become truly God-like, overcoming Death, and gaining a knowledge of the Gods. The Golden Versus are centered upon practical instruction, and one might say they count among the most direct of ancient ethical injunctions. Yet, however direct and applicable in daily life, they instill a sense of the grandeur of the path set before us. The instructions are adoptable by the humblest seeker and remain lofty enough for the sage. While several devoted Pythagoreans show themselves in our history, perhaps none set such a visible example as Apollonius of Tyana, who adopted and devoted himself to the Pythagorean Life from the early age of 16 and remains to us as one of the finest exemplars in human history, demonstrating clearly the path of one who would live such a virtuous life. We thus find the value of these versus not only verified by our own intuitions, but also through those who have adopted them and the lives they lived. Without further ado, here are three translations of the Golden Versus of Pythagoras.